A funky wooden play car that's great for zooming about the house. Flame paintwork makes this look like one mean machine. The hole in the middle makes these wooden cars perfect for small hands to grab hold of. Make brum brum noises and have some fun. 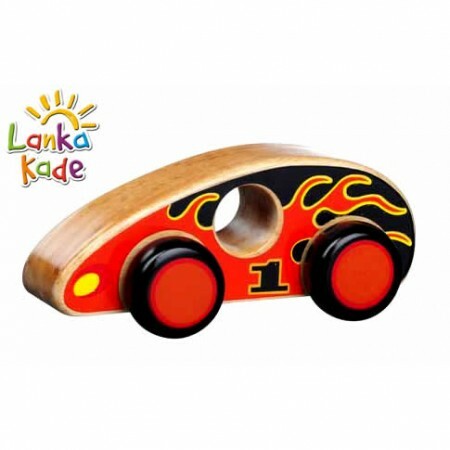 This car is ethically made from solid rubber wood with free turning wheels. Suitable for 12+ months. 16cm x 5cm x 7cm.